Quechee Lakes Landowners Association Charities (QLLA Charities) celebrated a very successful 34th Annual CHaD Classic Golf Tournament and Gala. In total, they raised over $135,000 for CHaD’s Child Advocacy and Protection Program (CAPP). CAPP is a multidisciplinary program created to help evaluate and manage child maltreatment in both the outpatient and inpatient setting. Funds raised through the 2018 CHaD Classic will ensure that CAPP can continue tackling one of the most difficult issues facing the health and well-being of our region’s children. The CHaD Classic kicked-off with the golf tournament on Monday, June 11th at the Quechee Club. 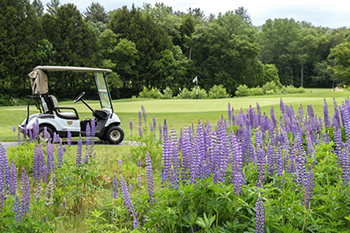 Golfers enjoyed 18 holes of golf on a picture-perfect day in Vermont. After finishing on the Lakeland and Highland courses golfers enjoyed dinner, a silent auction, and an awards ceremony.